Home / Posts Tagged "TS Eagle"
Turkish minehunter TCG ANAMUR and German minehunter FGS BAD BEVESEN were yesterday at Pollock Dock in Belfast on the Centenary of the Commencement of the land campaign on the Gallipoli Peninsula. 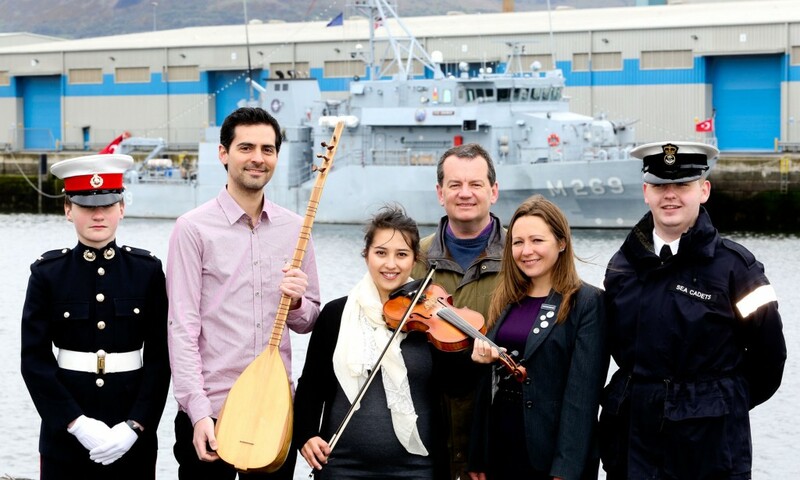 History Hub Ulster, as part of the national Last Post Project, commemorated those naval personnel lost at Gallipoli from all countries involved in the First World War campaign. 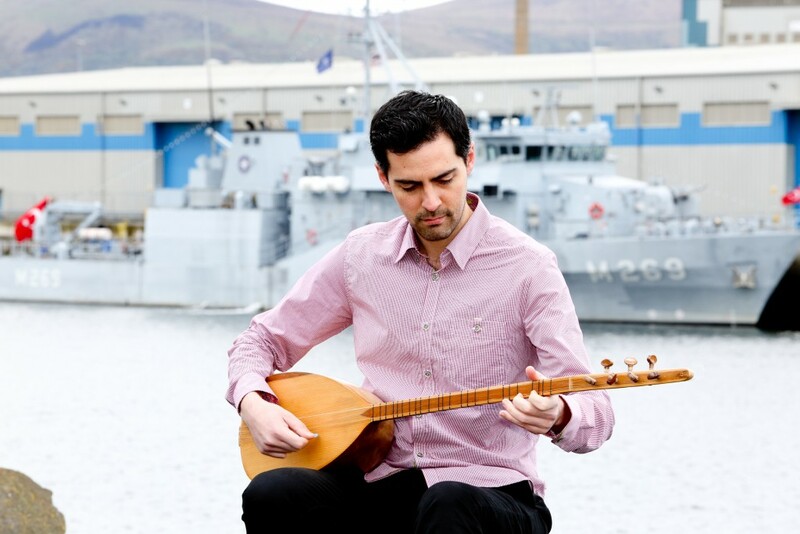 Musician Ioannis Tsioulakis played Turkish folk song Canakkale Turkusu on traditional Turkish instrument the baglama, and Clare Galway played the Last Post on violin adjacent to TCG ANAMUR berthed at in Belfast Harbour. Senior Naval Officer Northern Ireland, Commander John Gray, History Hub Ulster Chair Karen O’Rawe and sea cadets from TS Eagle and TS Formidable joined them to remember Ulster sailors lost in the Gallipoli campaign. Senior Naval Officer Northern Ireland, Commander John Gray and History Hub Ulster Chair, Karen O’Rawe at Turkish minehunter TCG Anamur in Belfast Port commemorating the Centenary of the Gallipoli landings as part of the Last Post Project. 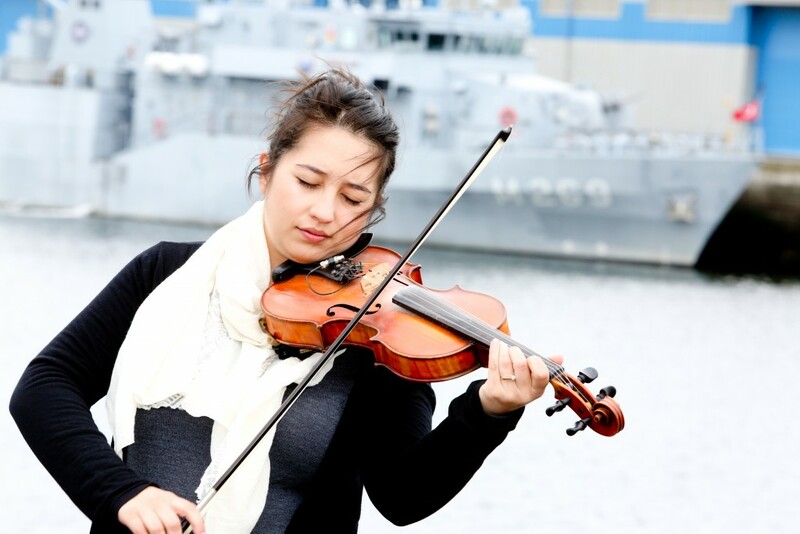 Playing çanakkale türküsü on bağlama is Ioannis Tsioulakis and playing the Last Post on violin is Clare Galway. Also pictured are a sea cadet from TS Eagle and a marine cadet from TS Formidable. One example of the local Ulster losses during the Gallipoli campaign is the loss of HMS Goliath on the 13 May 1915. In total 74 Men from Ireland, at least 18 from Ulster were lost on this ship. HMS Goliath was a pre-dreadnought battleship built by the Royal Navy in the late 19th century. Having been mothballed prior to the outbreak of the First World War, she was returned to full commission. Goliath was part of the Allied fleet supporting the landing at X and Y Beaches during the landing at Cape Helles on 25 April, sustaining some damage from the gunfire of Ottoman Turkish forts and shore batteries, and supported allied troops ashore. The Last Post project: The Last Post is a mass participation project for the First World War centenary taking place from 20-26 April that will see people unite in communities around the UK to remember the impact that the First World War had on their local area and play music from the era as a mark of commemoration. At every event held this April, the Last Post bugle call will be played to remember someone connected to the community – not just on bugles but on any instrument from piano to bagpipes, guitar to drums. Part of the First World War Centenary, The Last Post Project is funded by the Department for Communities and Local Government, Heritage Lottery Northern Ireland and Department for Communities Arts and Leisure Northern Ireland. Royal Navy: Another Ship to participate in the Gallipoli Campaign was HMS Hibernia, a King Edward VII class pre-dreadnought battleship launched in 1905. Hibernia’s Ulster connection is more modern due to her latest incarnation as the Royal Naval Reserve unit based in Lisburn. To mark Hibernia’s presence off Gallipoli, Ulster’s RNR were included in the Centenary parade in London on Saturday 25th April as part of the Naval marching contingent.